Rounded, with a soft, generous finish. 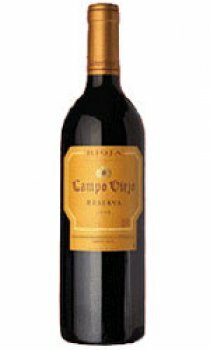 A balanced wine well suited to pork, lamb chops, grilled steak, venison or dried cheeses. In addition to a 400 acre Estate vineyard, the Bodega Juan Alcorta sources grapes from an area of almost 4700 acres. Most of the vineyards consist of old vines, over 25 years old, and mainly of the Tempranillo variety. The vines are arranged in plots, and are carefully selected for each wine. The vine growth cycle is carefully monitored and a series of growing guidelines are laid down for each estate. Elena Adell, has been involved in the project for the new Bodega Juan Alcorta from the very beginning, in which an ideal setting has been created for elaborating and enjoying wine.